The only thing worse than going to meetings is scheduling them. You have to check with everyone's availability, find a time and location that works, send out an invitation, and then bug people until they RSVP. It actually takes about 17 minutes to schedule a single meeting, according to x.ai, a company focused on solving the issue with artificial intelligence. X.ai spent the last four years developing (and improving) an email-based AI assistant that can schedule meetings for you. 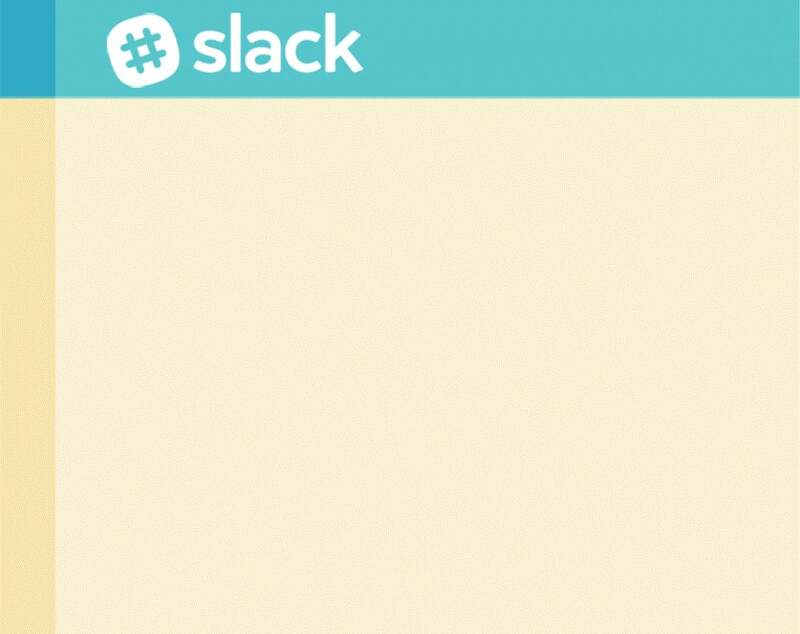 Now, they're bringing that same technology to the place where all your work-related conversations are already happening: Slack. Here's what x.ai's assistant, named Amy or Andrew Ingram (get it? 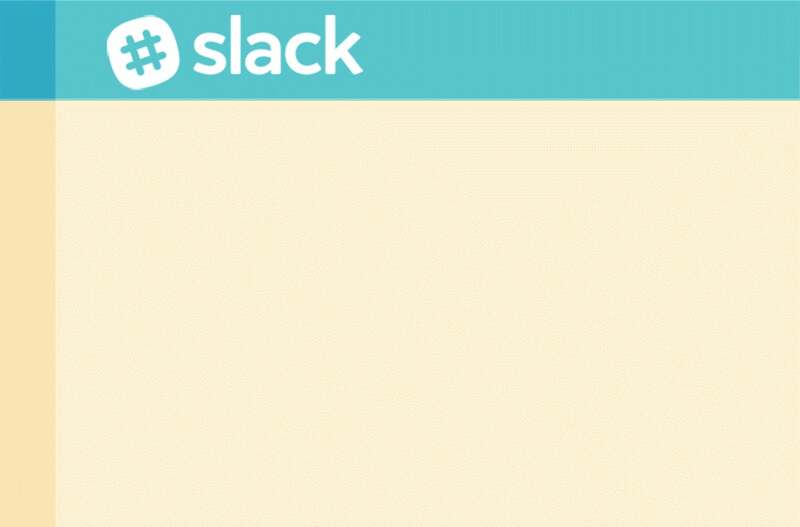 AI) can do in Slack, and how to use it. Setting up x.ai in Slack is as easy as adding an integration, but you'll have to sign up for the service first. Head to this page and enter your email address to get started. Choose between an individual or group account and, on the next page, enter some personal information. Finally, it's time to figure out how much you'll have to pay (x.ai for Slack comes with a seven-day free trial and also includes the email version). For individuals, it costs $US204 ($257) per year (that's $US17 [$21] per month) or $US18.35 ($23) monthly. The group price is $US468 ($590) per year ($US39 [$49] per month) or $US46.80 ($59) per month. If your company has over 50 employees, however, someone from x.ai will have to reach out directly to set up a contract (when I sent a request they got back to me by email in a little under a day). 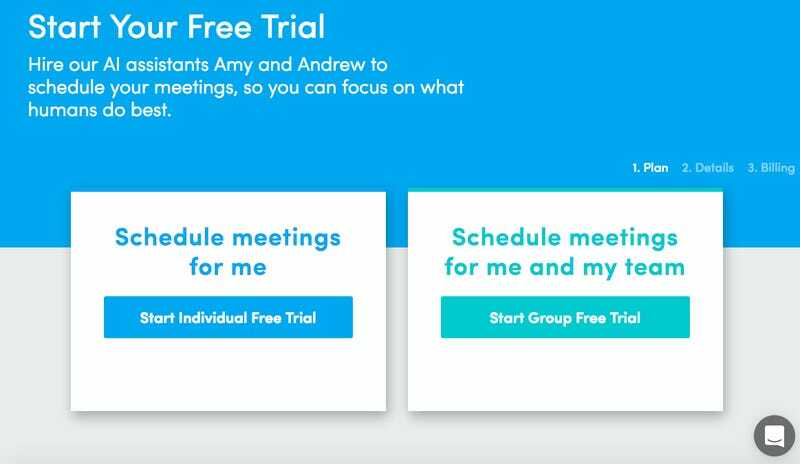 Once you're all set up, scheduling a meeting is shockingly easy. 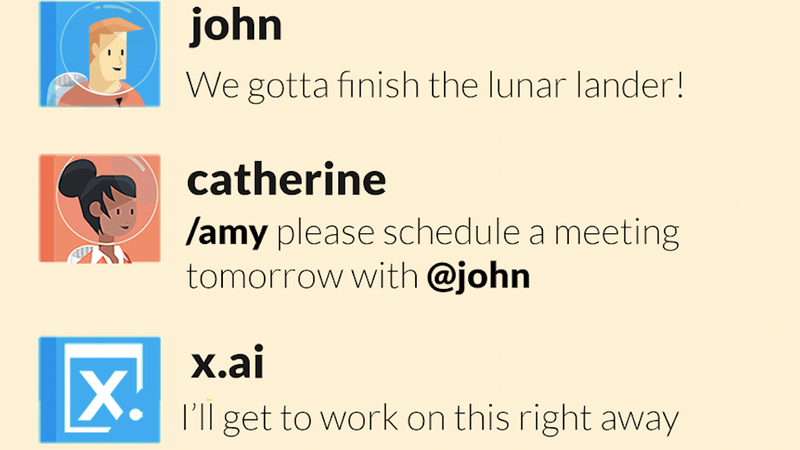 All you have to do is get x.ai's attention with the Slack command /amy or /andrew, tell it to schedule a meeting for tomorrow (or whenever you want to meet), and tag the people involved. You can also add other information, such as a location, with your command. 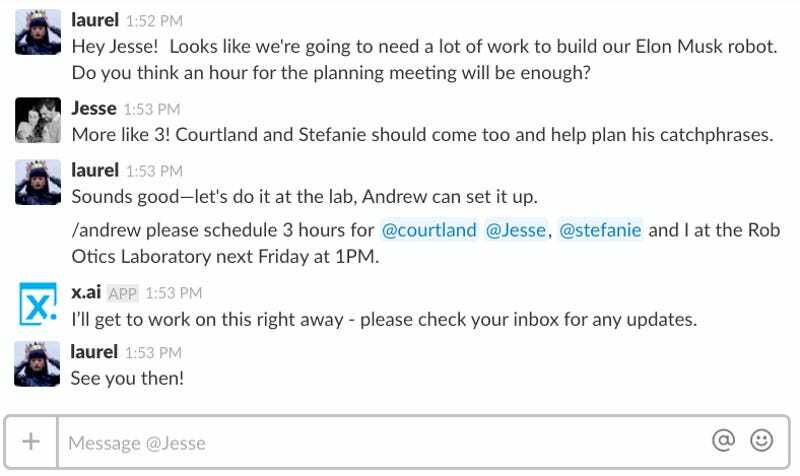 Once you give the command, x.ai will reach out to each person you invited and do the hard work of actually scheduling the meeting. Then it will send out an event invitation through your calendar app of choice to confirm the entire thing. What Else Can x.ai Do? 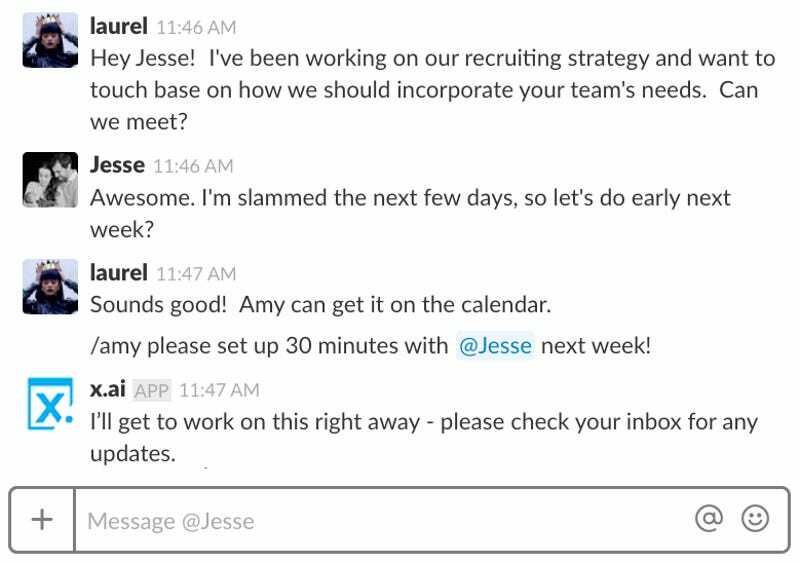 Beyond actually scheduling meetings, x.ai brings a few other tricks to Slack. You can use it to check your calendar with the command "/amy meetings" to see recent scheduled events and anything the AI is still working on. 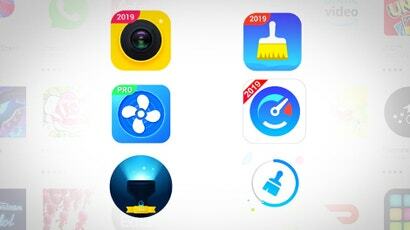 You can even use it to set reminders with a command such as "/amy please remind me 'Check Lunar Phase Chart' at 9AM"
That might sound like a lot to remember, but the company says its AI software can recognise natural language. That means as long as you're clear it should get the message. Based on my own experience, x.ai does have some issues parsing human error, so if you're having trouble, double-check to see if there are any typos in your last command.